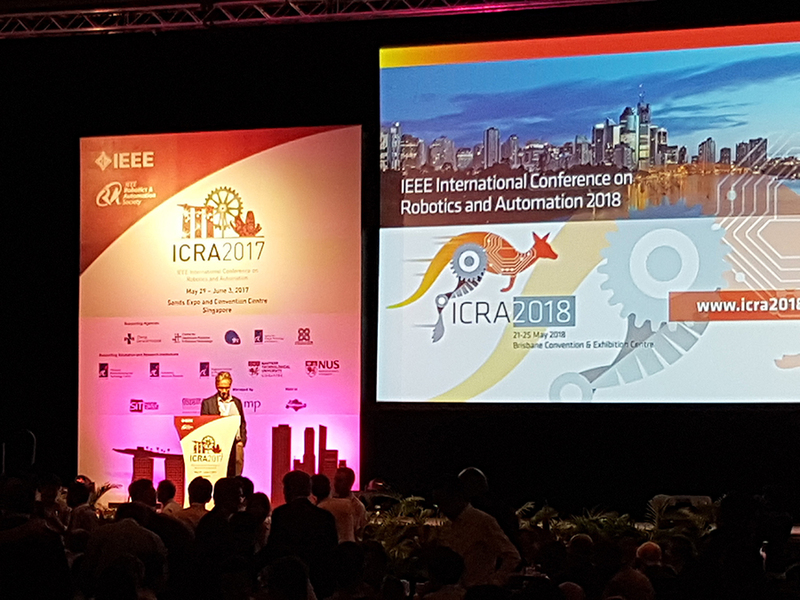 It was a hectic but interesting week at the 2017 IEEE International Conference on Robotics and Automation in Singapore. Here’s a brief recap of some of my observations and experiences. Computer/robotic vision and navigation-related (SLAM, localization) are still some of the most popular, or at least well-attended fields at these conferences. My colleagues said that some of the manipulation / grasping sessions were well attended too. The influence and growth in machine learning / deep learning seems to have slowed somewhat. This is possibly related to the fact we’re increasingly seeing some of the best robotics learning work going to machine learning or computer vision conferences, or potentially to new conferences like the Conference on Robot Learning. There seems to be an increasing number of attendees coming primarily to attend workshops, some of which very well attended, even at the tail end of the conference on Friday afternoon (a good sign!). This trend mirrors what we’re seeing at some of the other robotics and computer vision conferences, where there are very well attended workshops. The event-vision based workshop, in particular, was impressive in how different it was to the 2015 incarnation, which was sparsely attended. This one had heaps of top researchers, industry, and lots of demos around the room. Although I did manage to witness a couple of specific individuals spending the entire week being whisked away for recruiting lunches / dinners / drinks, the crazy recruiting environment of recent conferences seems to have died down, at least a little. This is perhaps a testament to the fact that the fields of AI and self-driving cars are starting to mature a little – most of the major players now have a more stable, ongoing strategy so there’s not so much chaotic recruiting activity. It’s also clear that there’s still a significant talent shortage, especially at a middle seniority level – highly qualified postdocs with several years of domain experience (machine learning, perception, autonomous vehicles, SLAM) and leadership experience are like hens’ teeth! 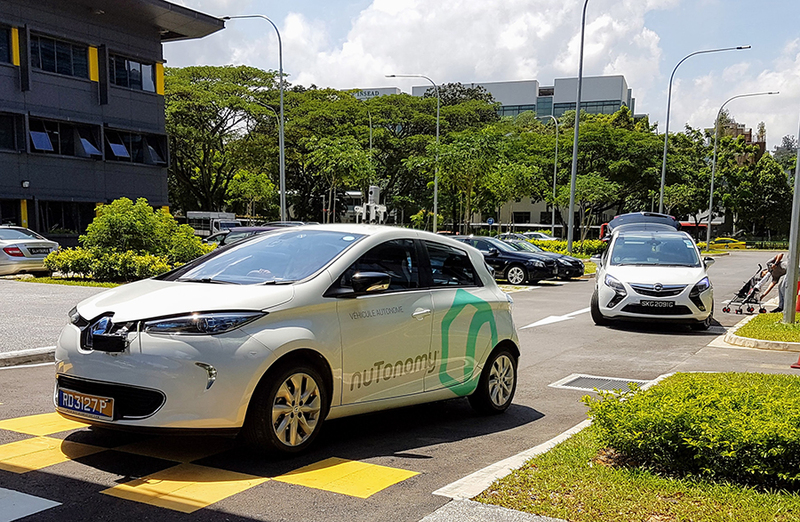 Major local startups like NuTonomy showcased their work at a special event. I managed to get along separately and see that they are improving leaps and bounds in their capability and now have some pretty impressive capability showcases. And we got to see Peter Corke introduce ICRA2018 in Brisbane, Australia! 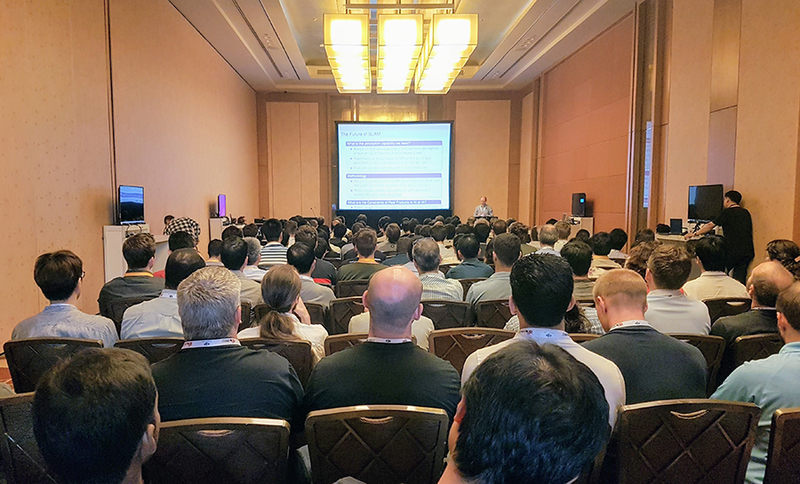 I enjoyed talking at the Visual Localization session (another packed out session with standing room only) on our paper, “Deep Learning Features at Scale for Visual Place Recognition“. The social functions were good and the conference hotel was incredible, especially the infinity pool at the top of the hotel, 57 floors up, looking over the Marina. The night safari was fun too. Overall, a great week and always great to reconnect with hundreds of colleagues and collaborators from around the world. See you next year in Brisbane!